The fascination of sociology lies in the fact that its perspective makes us see in a new light the very world in which we have lived all our lives. Peter Berger, Invitation to Sociology. Sociology looks at the different components which make up modern societies, such as family, education, the mass media, religion, social class, gender, power and crime. However, the approaches or theories and research methods used to look at these components are themselves also part of any sociology course. There is much debate and discussion both in your classroom study as well as in your written essays because sociologists will often vary in their findings and explanations of the way society works. you will gain valuable communication skills enabling you to handle complex arguments and communicate effectively in all sorts of fields, including management, PR, campaigning, advertising, marketing, business and people-focused public sector professions as well as university research in the social sciences and social policy. A2 Sociology –Continuing the study of Research Methods and Education & The Family and going on to study the Media and Crime & Deviance , assessed by three 2 hour written papers. 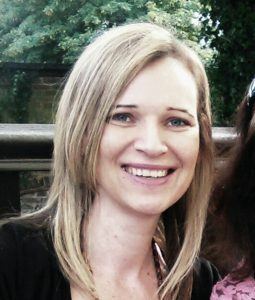 Nicole Kypker studied sociology at Cambridge University and has taught the subject at A-level for over a decade. An award-winning teacher, she is an AQA A2 sociology senior examiner and has authored a guidebook to British and Irish universities as well as several academic articles. Peter Carabine B.Ed (Hons), MA,MSc. 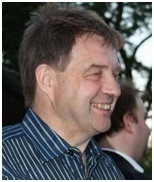 Peter has many years’ experience teaching Sociology at Sixth form level including Head of Department Level. Peter has an MSc in Sociology (specialist areas Sociology of Education, Theory & Methods) and is a current examiner in Sociology. Marianna Procopiou (2015) is studying Criminology & Sociology at the University of Nottingham. Tara McCaul (2014) is studying Sociology at Leeds University, Max Burchett (2014) at Lancaster, Mariko Kino (2011) is studying Sociology at Warwick University. Faizah Kahn (2011) and Iqra Kahn (2010) are studying Social Anthropology at SOAS, University of London. Yusef Sanei ( 2011) is doing Sociology at Goldsmiths University and Laurence Pearce (2011) is doing Sociology at Kent University. Natalie Barber and Amber Bowrey both achieved A* in A level Sociology and are respectively doing Education studies at St Mary’s University College and Psychology at Warwick University. Former A level sociology students have continued to various subjects at LSE, UCL, Aston, Birmingham, Cardiff, Bath, Nottingham, Leeds, Manchester and Sheffield Universities.